In 1797, the company had released a car called the Maruti Suzuki Alto. This car had taken the market by a wild storm. It was seen that at a certain point, this was the only car that was having demand more than supply making it a very sought after car. There are many reasons for this demand, the main thing being the smooth drive. The car has a very stylish exterior and a lovely comfortable interior. The battery makes it what it is, as it makes for a very smooth ride all together. This Alto car battery model is the 8th generation of the base model. Since it had gained so much popularity, the car makers decided to put in newer features and bring out the updates. Since this idea caught the market by storm again, the makers kept on doing it that resulted in this 8th generation car. If you are owning this car, you will already know that Maruti batteries are known for their longevity. But since the car itself can give you many years, sometimes you will be required to change the battery. In such cases, you should always opt for a trusted dealer. You will get the Alto car batteries in the Maruti Suzuki centers as well but when you order with us, we will be giving them to you at a much more enjoyable price. You can be sure that you will get the most authentic products that will make your ride one of the best. Maruti is a brand name that is trusted all over the world. You can now trust us to keep your Alto car the way you want. This Alto car battery is a very fine piece of work and one of the best in its category. You can be sure that you will enjoy your ride in this car. 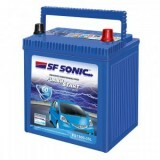 Feel free to call Moxikart.com to get Alto car battery price.